Bold Street is named after Jonas Bold, who originally leased the land from Liverpool Corporation in around 1785-6. 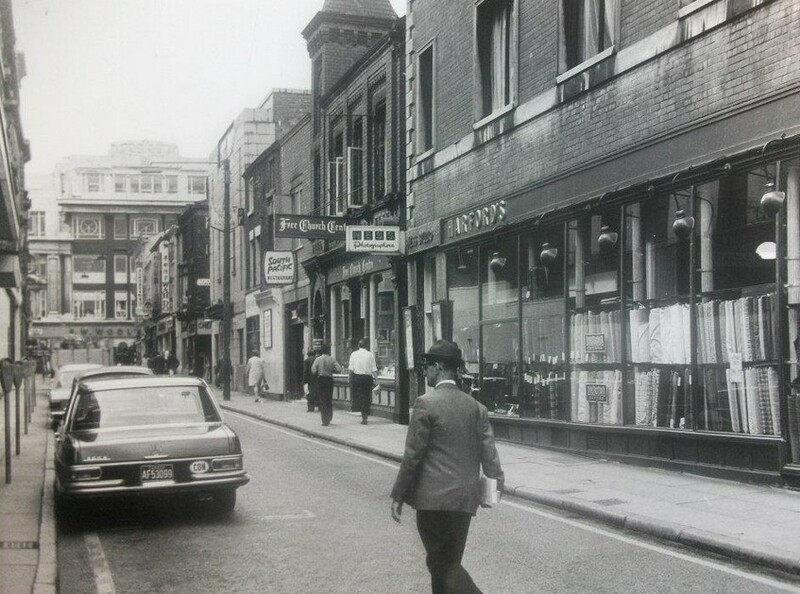 He also owned the plot at the top of the street, which is now the site of St Luke’s Church. 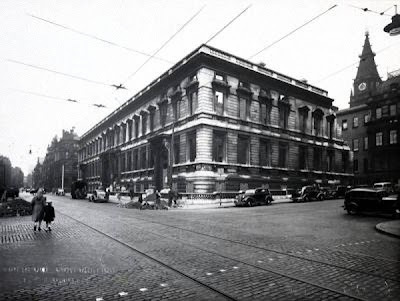 At the bottom of Bold Street is the Lyceum Club, built by the architect Thomas Harrison and opened in 1802. It was built to house the Liverpool Library, which is thought to be the oldest public subscription library in the country. Many of the founder members of the Lyceum traded in enslaved Africans. Prior to Bold acquiring the land it had been home to the rope-works of the slave traders Joseph and Jonathan Brooks, hence the area using the Rope – walks title today. 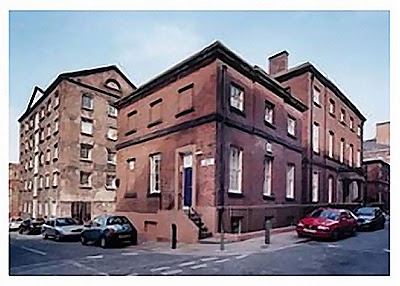 Parr Street is named after Thomas Parrr (1769-1847) who in 1799 built the fine house that still stands on the corner of Parr Street and Colquitt Street. He was a slave trader and banker in Liverpool; he owned the massive ship called “Parr” which had berths for 700 slaves. The vessel is reported to have exploded off the west coast of Africa in 1798, which may indicate that it was carrying gunpowder to exchange for African slaves. The Tarleton family produced three generations of slave traders. The most famous member of the family was Banastre Tarleton (1754-1833) who fought for the British during the American War of Independence. He had a strong opposition to the ending of the slave trade and voiced his opposition in the House of Commons. His grandfather was the first Tarleton to trade in enslaved Africans, his father was also involved, as well as his three brothers, John, Clayton and Thomas. General Banastre Tarleton used his fame as a colonial war hero to ensure he became MP for Liverpool in the 1790 parliamentary elections. Once elected he utilised his position as MP to protect his family’s business interests, fighting relentlesly to ensure that the slave trade was preserved by the British Government. As an MP for Liverpool his stance on the African trade was the norm. With the exception of William Roscoe, all of the town’s MPs during the late 18th and early 19th century, were opposed to the abolition of the slave trade. A portrait of Banastre Tarleton after Sir Joshua Reynolds now hangs in the National Gallery in London. Roscoe Street is named after William Roscoe,e (1753-1831) who was without doubt one of Liverpool’s greatest sons. Roscoe was an attorney, author, banker, poet, botanist, politician, art collector and abolitionist. 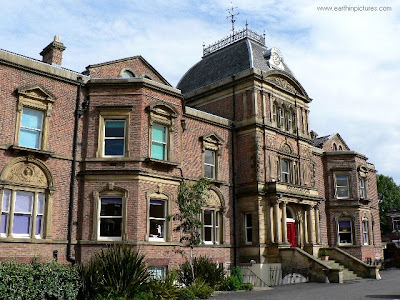 He was one of the founder proprietors of the Athenaeum Club in 1797, a club which exists to this day, he was also instrumental in the establishment of The Liverpool Botanic Gardens in 1802, which opened to the public 38 years before Kew Gardens in London. In 1822 his influence led to the opening of the Royal Institution in Colquitt Street and his collection of early Florentine paintings, of world importance, can be seen in the Walker Art Gallery After winning election to parliament in 1806 he was an MP for Liverpool, and voted in support of Wilberforce’s motion to end British involvement in the slave trade. 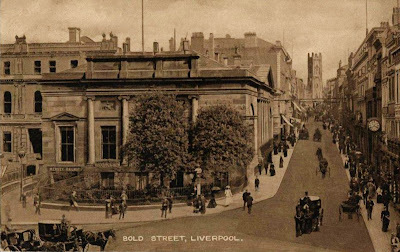 His efforts to end the slave trade were not appreciated in Liverpool and on his return from Parliament he was accosted by a mob on Castle Street. In fact later on that same night one of his party, Edward Spencer, was murdered during a brawl which, it is thought, was sparked by the incident earlier in the day. This event was to lead to him leaving public office. Although nominated in 1807, Roscoe was not re-elected. Sir Thomas Johnson is known as “The founder of modern Liverpool”. He served as mayor in 1695 and Was also one of Liverpool’s earliest recorded slave traders, financing the second documented slave ship to leave the port. Along with Robert Norris of Speke Hall, In 1700, Johnson financed the voyage of ‘The Blessing’ to the Gold Coast (West Africa) and then on to Barbados, where the enslaved Africans were to be exchanged for cotton, ginger and sugar. Johnson was also involved in the “Virginia Trade”, which saw Liverpool merchants deal in slave-produced tobacco. In 1708, as MP for Liverpool, he pushed for the building of Liverpool’s, and arguably the world’s, first commercial wet dock, which subsequently opened in 1715. 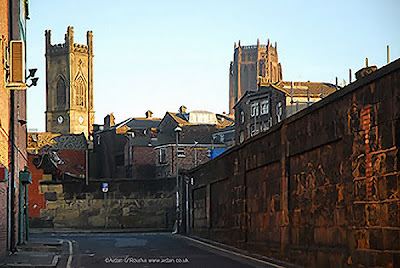 As a result of the construction of this dock there was a dramatic increase in Liverpool’s overseas trade and many slave ships were to dock here during the eighteenth century. Johnson was to invest heavily in the South Sea Company, whose main interest was the transportation of slaves to the Spanish colonies in the Americas. By 1720 the company was losing money and was failing. Johnson found himself in financial difficulties and lived out his final years on a small pension. 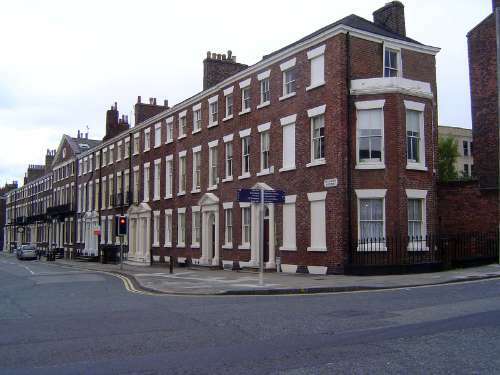 Blackburn Place in Liverpool 8, is named after John Blackburne, (1693-1786) Originally from Orford near Warrington, John Blackburne was a slave trader who is named on the list of merchants trading with Africa in 1752. His father John Blackburne senior served as mayor of Liverpool in 1760 and was an active member of the town’s elite. Blackburne made a fortune in Liverpool and used some of his wealth to refurbish Orford Hall. In addition to slave trading he was a salt merchant who owned the salt works adjacent to Liverpool’s second wet dock, which opened in 1753. Originally it was named the South Dock, but due to the proximity of Blackburne’s salt works it quickly became known as the Salthouse Dock. Blackburne was also an investor in canal building; many Liverpool slave traders invested their money in other interests to take advantage of industries springing up around southern Lancashire. These included salt manufacture, banking, shipbuilding, rope-making and coal mining.